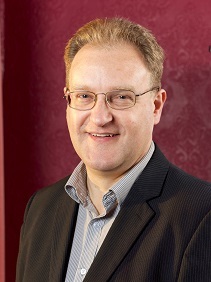 Originally from Northern Ireland, but with both Scottish and Irish roots, I hold a Postgraduate Diploma in Genealogical Studies from the University of Strathclyde, and today work as a professional genealogist, running the Scotland's Greatest Story research service (www.scotlandsgreateststory.co.uk). I live in Ayrshire, Scotland, but in the past I have also resided in the English cities of Plymouth and Bristol (for four and six years respectively), spent four years as a child in Helensburgh, and twelve years in the County Antrim town of Carrickfergus. I am married with two sons. 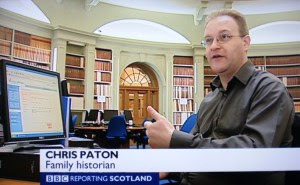 As well as teaching Scottish based courses for Pharos Teaching and Tutoring Ltd (www.pharostutors.com) I have also tutored for the University of Strathclyde's Genealogical Studies Postgraduate Programme (www.strath.ac.uk/genealogy/). 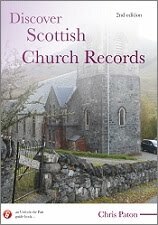 In addition I am a published author of several book titles (see https://britishgenes.blogspot.co.uk/p/my-books.html) and am a regular contributor to several genealogy magazines, such as Who do You Think You Are, Family Tree, Discover Your Ancestors - in the past I have also previously written articles, columns and reviews for Your Family Tree, Family History Monthly, Practical Family History, Discover my Past England, Discover My Past Scotland, Your Family History, Ancestors, History Scotland and Irish Roots magazines. I have also written for various other newspapers and magazines such as the Scotsman, the Herald, Scottish Memories, the Official Windows Magazine, Breathe and Dogs Monthly. In October 2012 I was invited to join the regular user forum for the Public Record Office of Northern Ireland (www.proni.gov.uk), and from May 2013-May 2017 I was a Director of the Scottish Archive Network Ltd trust (www.scan.org.uk). 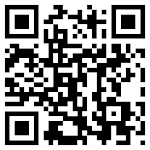 I am also a member of the Association of Professional Genealogists (www.apgen.org). I previously worked for 12 years in factual television production for both the BBC (Bristol and Glasgow) and STV, on series such as The Male Survival Guide, Picture This, Close Up West, Coast, Meet the Ancestors, Secret History, War Walks, Time Flyers, 999, 999 Lifesavers, The Enforcers, ERI (Edinburgh Royal Infirmary), and more. During my TV career I met and interviewed RAF fighter pilots who fought at the Battle of Britain, liver and kidney transplant surgeons and patients at Edinburgh's Royal Infirmary, several of Scotland's Trading Standards departments, Driving School's Maureen Rees, and many other interesting folk. Filming projects took me to 30 of the 50 United States, Canada, Britain, Ireland, France, Italy and Sardinia. With an interest in politics, from Aug 2016-Feb 2017 and from Jan 2018-Jan 2019 I have also worked for two Members of the Scottish Parliament, as both a researcher and as a caseworker, and unsuccessfully stood for election to my local authority in May 2017.